Modern and sculpted. Protective and secure. 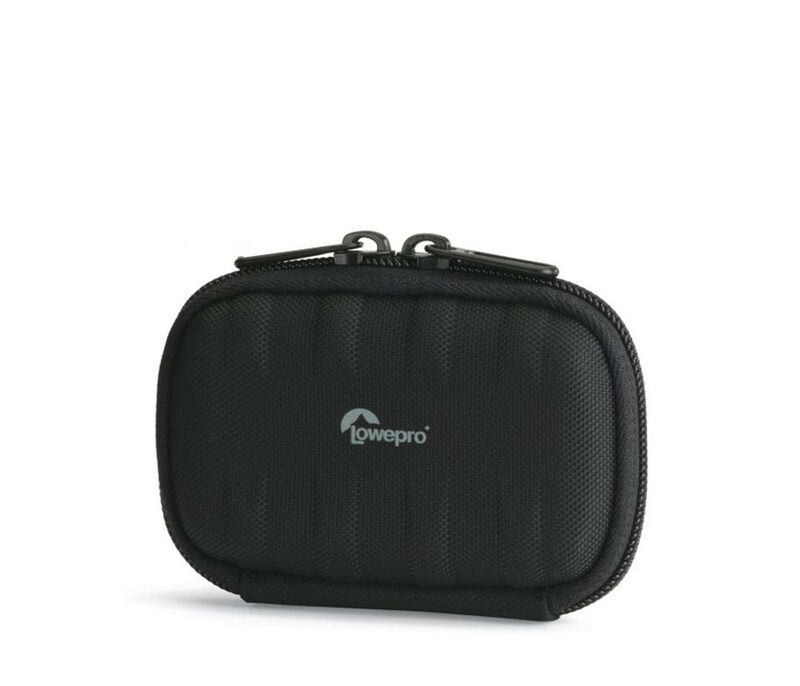 The Santiago 10 pouch safeguards a compact point & shoot with distinctive style. It's crafted of a hard, ribbed shell with dense EVA foam padding. This construction ensures maximum protection from bumps and abrasion. Inside, an elasticized camera keeper strap secures hardware with a snug fit, and soft, brushed tricot lining helps protect the LCD screen and lens from scratches. An interior slip pocket provides convenient storage for a spare memory card. 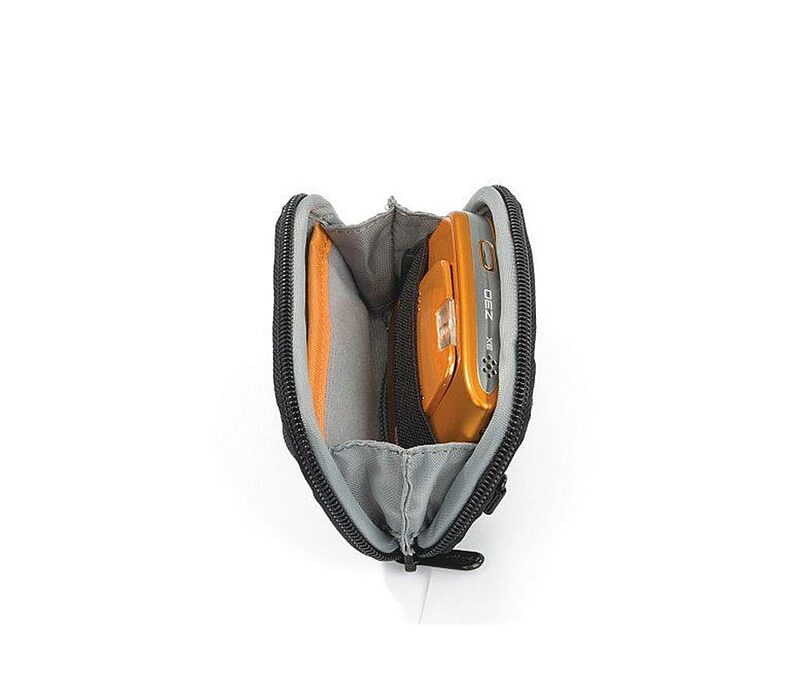 Additional features include: dual zipper pulls, a low profile belt loop, and detachable shoulder strap.